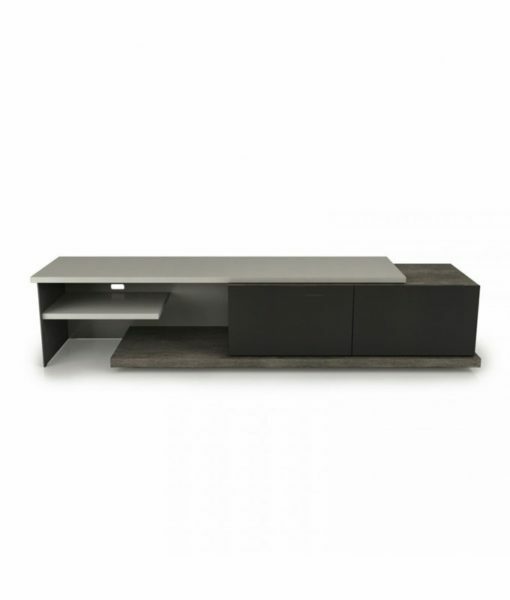 The Inverse entertainment center is beautifully sleek and allows an enormous amount of flexibility by letting you select finishes for the four ingredients that mix together to create the lovely lines of this modern piece of furniture. Select a bright lacquer for a pop of color in your room or go with a monochromatic scheme for a calming soothing color palette – the decision is in your hands! Customize this piece in your choice of lacquer, glass, steel, and wood finishes.